There have been significant advances made in the understanding and treatment of facial paralysis in recent years. Thanks to continued research and testing being conducted in the medical community, facial reconstruction specialists today are not only able to determine the cause of the facial paralysis, but are also able to determine which muscles and nerves have been affected and to what degree. 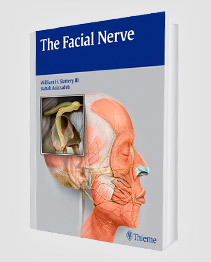 Knowing precisely which nerves and muscles are affected is very important in tailoring a treatment plan or procedure to restore a patient’s facial animation. 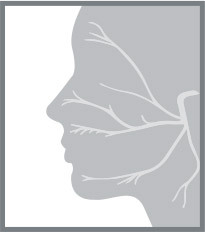 Treatment for facial paralysis can vary greatly, depending on a number of factors. The degree of paralysis, the cause of the paralysis and the length of the paralysis are just some of the things professionals take into consideration when discussing available treatment options with their patients. One of the most important tools in a facial reconstruction surgeon’s toolbox is the House-Brackmann grading system. The system is a six point scale that grades the severity of facial nerve impairment. It was adopted by the American Academy of Otolaryngology-Head and Neck Surgery in 1985 as the universal standard for measuring facial nerve impairment. Patients are examined to determine their level of impairment by measuring symptoms to one of the six levels on the scale. A level one is indicative of normal facial nerve function without limitations while a level six indicates complete paralysis and loss of nerve function. Some facial paralysis is temporary, such as the symptoms found on the lower levels of the scale, and doesn’t require any treatment. Other forms of facial paralysis may be corrected by less invasive means than facial reconstructive surgery. The most severe cases of facial paralysis often require an in-depth procedure known as a gracilis free flap, which transplants muscles and nerves from the thigh into the face to replace the damaged facial nerve that is causing the impairment. By comparing a patient’s symptoms to the six levels on the House-Brackmann grading system, Dr. Azizzadeh is able to create a treatment plan that is tailored to meet the specific needs of each patient based on their personal level of impairment. The Facial Paralysis Institute is one of the pioneering centers dedicated to the wellbeing of individuals suffering from facial nerve disorders. 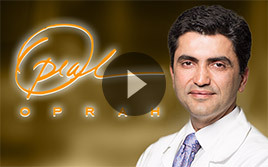 The Institute is lead by Dr Babak Azizzadeh, one of the top facial plastic surgeons and facial paralysis experts in the country. 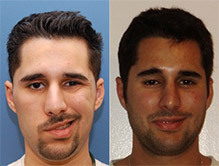 If you or a loved one is suffering with facial paralysis, schedule a consultation at The Facial Paralysis Institute with Dr. Azizzadeh today to discuss the available treatment options and find out which option the House-Brackmann grading system suggests might be best choice to improve the effects that facial paralysis has in your life.